Today I'm sitting in my office in the middle of Fall madness...that's code for I have all the decorations out of the attic and piled up in the floor of my office/junk room waiting to be inspired by Fall fairies! So before Fall madness strikes and we all see pumpkins in our sleep, I thought I would take you on a tour of my master bedroom and bath. See that chair, I really like to sit there and drink coffee and read blogs, I get a lot of light from the many windows, and the older I get the more windows I need to sit beside(my vision is not so good)! Catherine and Heathcliff what a great love affair. Mr. SB and I met in high school and have been together for 23 years, now that's some kind of love affair. 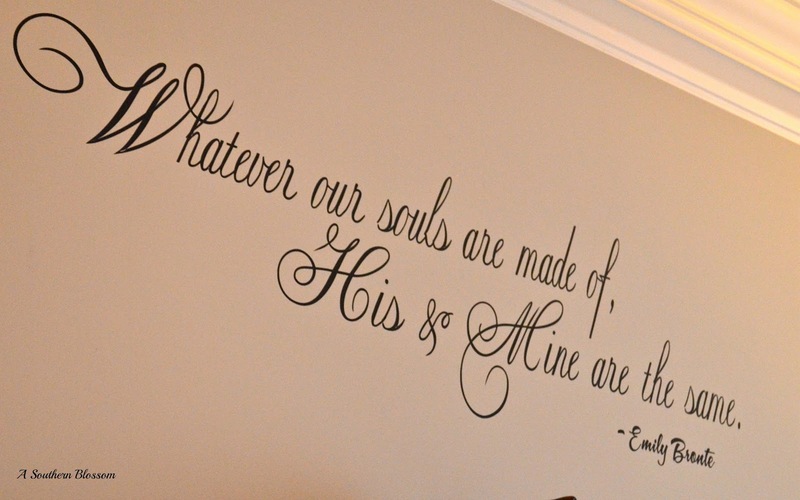 I found this quote on Esty and knew instantly that it would be perfect for the area over the bed. I really really like this chair it's from Pottery Barn I replaced the cushion with another (green one) that I found at Pier One. Deuce likes to take his bath by candle light. 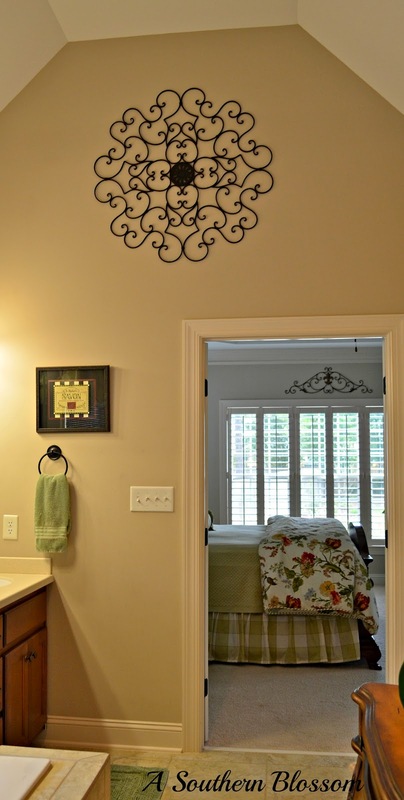 On the opposite wall I have a bombe chest where I keep extra towels and essentials. Notice the other end is bare. I think it needs something however I did not want to do a repeat. I am currently on the hunt for a hanging light fixture for the center of the room. We are also interviewing a painter for a couple of areas around the house as much as I love gray I would like to see this bathroom another color....Hmmm. Thanks for stopping by I am going back to my Fall madness now. I have another project from my mudroom that I want to share with you later this week. LOVE your bedroom and bedding. Love that buffalo checks with the florals and the green is perfect. 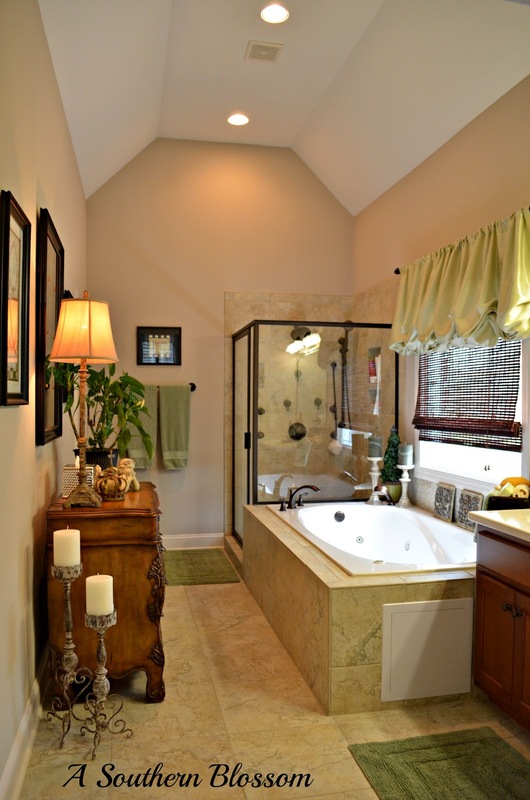 Your bathroom and mine are similar with the vaulted ceiling. Mine runs from side to side when you walk in ours. Your bedroom is wonderful. 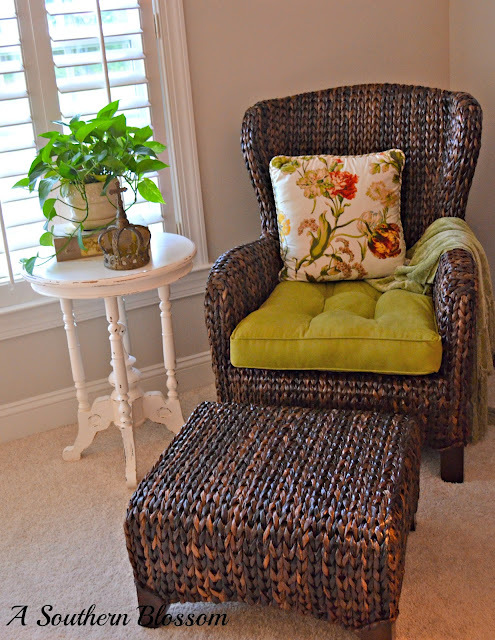 I love the chair and green decor. The window shutters are great too. GORGEOUS!!! Are master baths are almost identical. You just gave me an idea with that large scroll piece above your door :) Your newest follower, so glad I found you! Just when I thought I couldn't love your bedroom any more, I spied the quote above the bed! 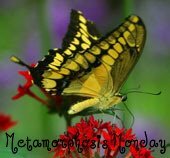 It is one of my FAVORITES! It is the perfect touch to a perfect suite. Simply stunning. Oh, my goodness! 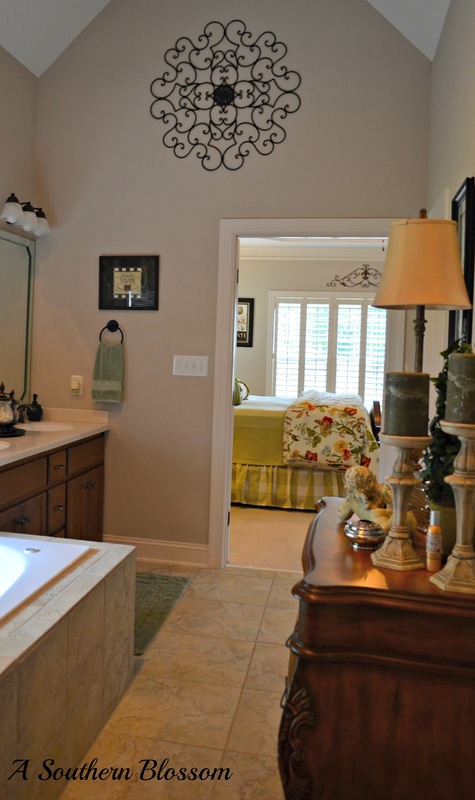 Your bedroom and bathroom are so beautiful! I love your pretty bedding and colors you've used. I would love to have a big bathroom like yours and I know I'd spend lots of time in that tub. What a beautiful retreat! Everything looks so peaceful and serene! Your bedding is just wonderful! Love it all! You have a beautiful bedroom and bath. Love the colors you chose! Hi Karen. 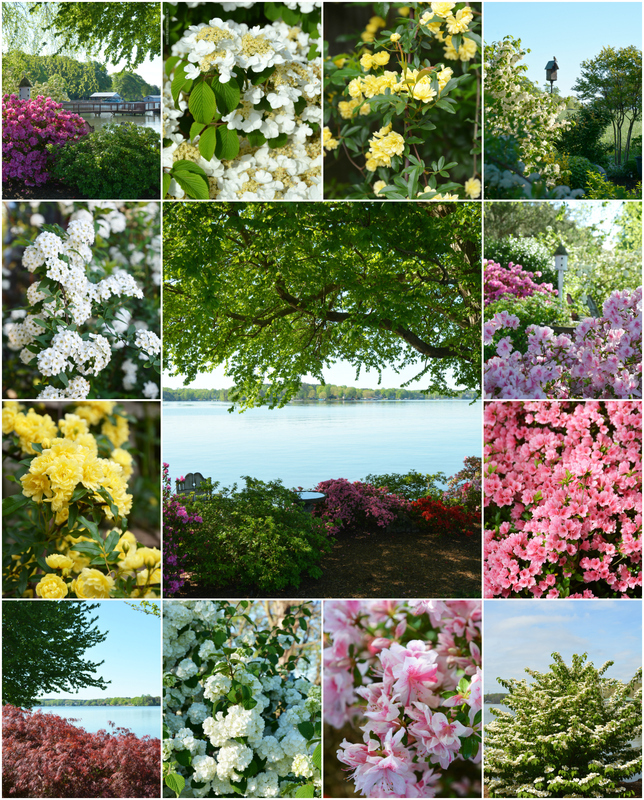 Just landed on your blog for the first time and I went through all the posts. Your home is beautiful! I love the green, the shutters, and your style. Love it! 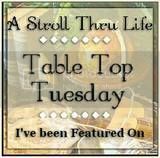 First time to your blog and I love it! 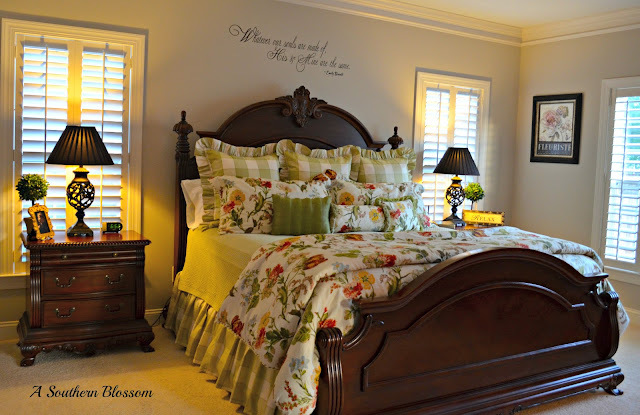 These rooms are so beautiful--what wall color have you used and where did you get that gorgeous bedding? Karen your bedroom is gorgeous! That bedding is to die for dreamy! Where did you get your green and white buffalo check bedding? That fabric is exactly what I've been looking for - and cannot find. 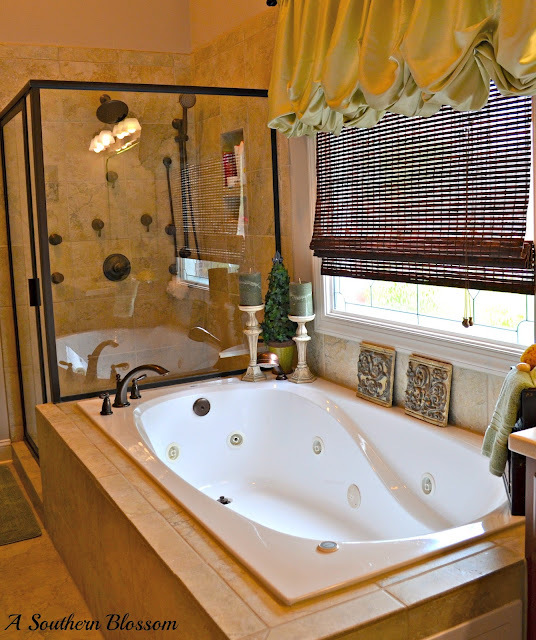 Your bed and bath are gorgeous! Your taste is so like mine. Your house reminds me of when I lived in SC for one year. You must have a cool kid if he has a Tarheel basketball in his room! Your bedroom is so pretty. Love the bed linens, dark furniture, and the plantation shutters. Great PB chair, too. I am loving your beautiful bedding. Green is one of my favorite colors and the plaid rocks. I would be so appreciative if you would share the brand or where you found the linens. Beautiful, beautiful room. Thanks! Would love to know where you got your bedding from! Love your blog! Wow I am really loving this! 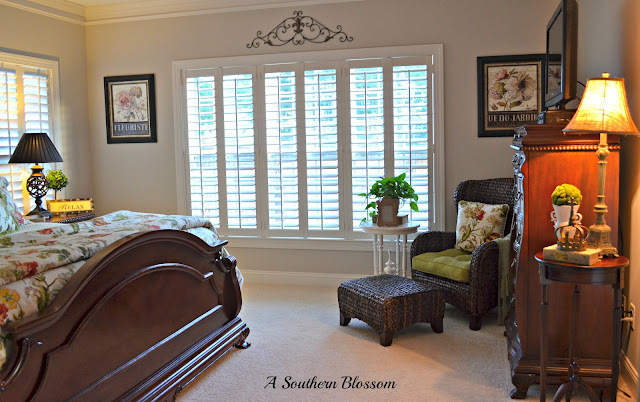 And those shutters and your comforter and...the list goes on and on! So perfectly beautiful! You have really good taste and now I want shutters for my bedroom! The bathroom is wonderful too and lol about your little yorkie taking baths. It looks like some of the model homes I've visited! I'd love to know where the bedding set is from! I really love your bedroom decor. If you have a floral Bed Linens please share to me because I want to buy it.